April Dawn Irving is facing 13 counts of cruelty to animals, one count of causing suffering to animals and failure to appear in court. 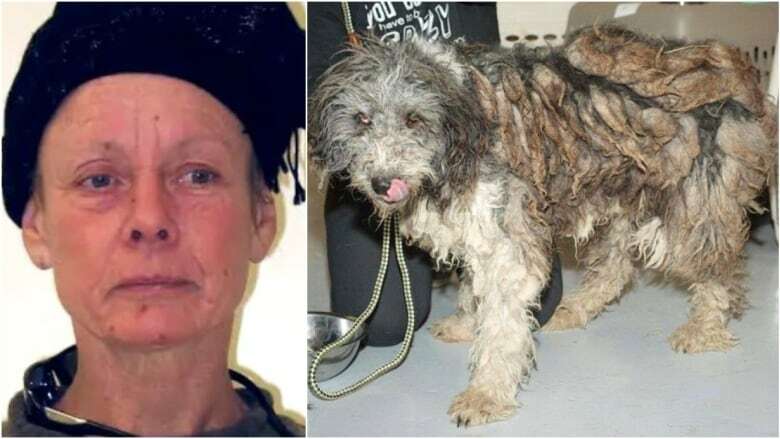 With an assessment not yet complete, a Milk River, Alta., woman facing animal cruelty charges will remain at the Southern Alberta Forensic Psychiatry Centre for another two weeks. Ordered on Feb. 11, the assessment is underway; however, one of the psychiatrists has been away for the past month, causing a delay. Irving appeared in court on Wednesday by closed-circuit TV. Irving was arrested in Manitoba in January and returned to Alberta to face outstanding charges related to 2014 allegations in Milk River, Alta. Five dogs were found dead on a Milk River property, along with more than 200 neglected animals. Irving failed to show up to court in 2016 and was believed to be living in Jamaica before reappearing in Canada earlier this year. Her lawyer, Bjoern Wolkmann, asked the court that she be held at an approved health-care facility once the assessment is done rather than being returned to the general population at the Lethbridge Correctional Centre as she suffers from a traumatic brain injury, the result of a concussion. She also suffers from anxiety. At an earlier court appearance, Irving said she had suffered death threats while in custody and asked to be held in solitary confinement, which was rejected. Irving also continues to wait to see an orthopedic surgeon relating to a knee issue from a car accident in Jamaica last year. Wolkmann told Justice J. Maher that Irving likely had some serious mental health issues that could result in her being held not criminally responsible or fit for trial. She is scheduled to be back in court March 27.